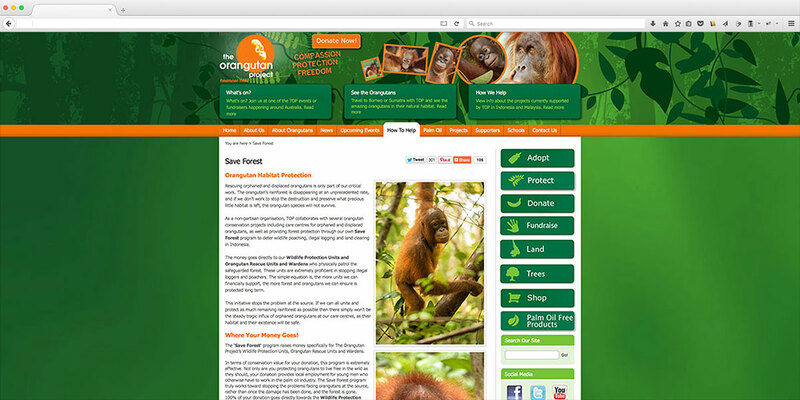 I worked for the Orangutan Project for a few years producing their promotional material and their website. 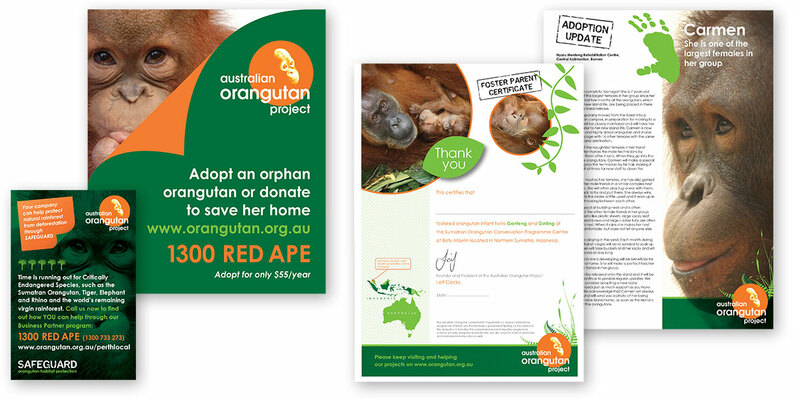 They already had a strong identity with orange and green colours, I built on this and created many fun documents that could be printed in-house. 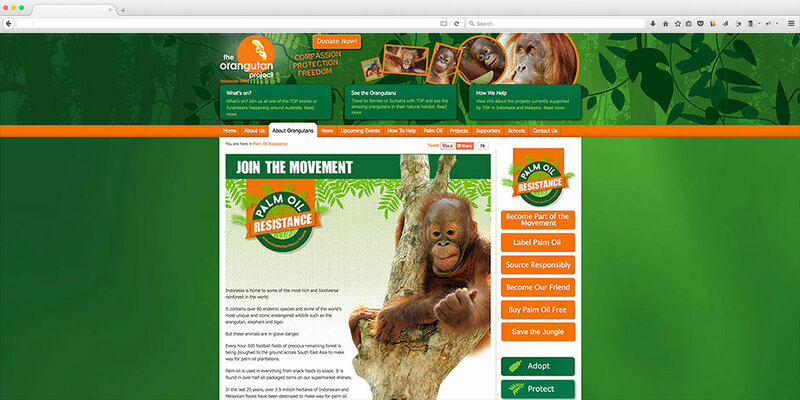 The website is a go-to place for their loyal supporters and anyone concerned with the plight of the orangutans. 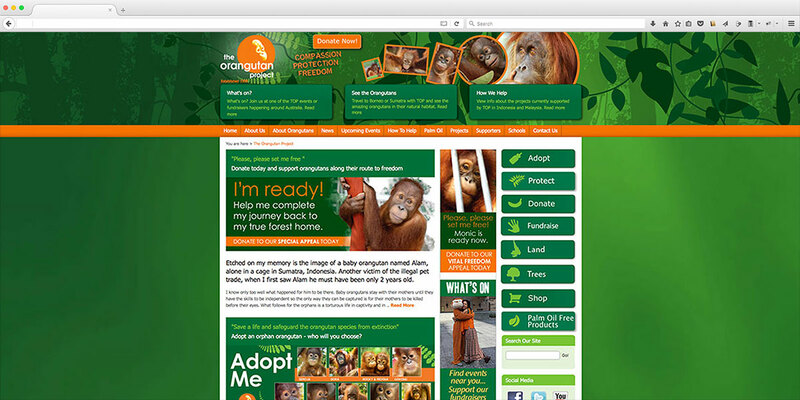 It too had to be fun and optimistic to encourage people to help.